This project is based on an article about a bank robbery that occurred on September 24, 2010 in Miami. 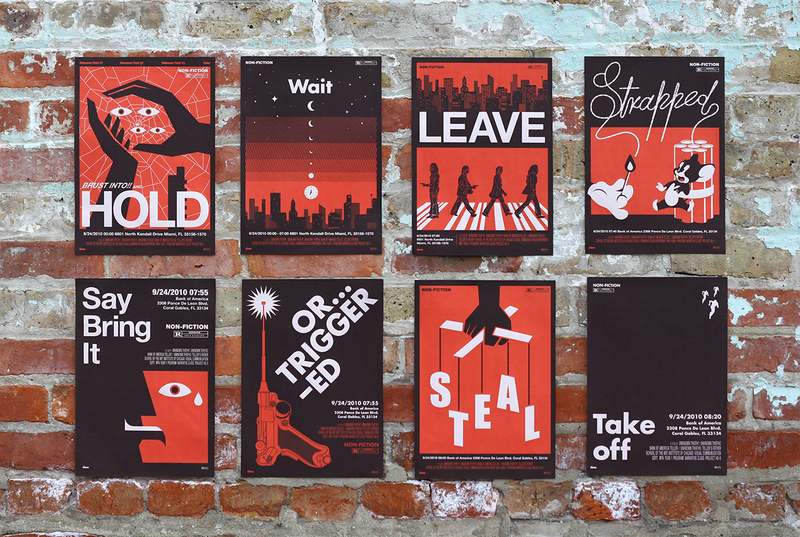 To convey the narrative without the direct text, I selected a series of posters as a visual form and used only action words picked in the article for titles and suggestive images referring to Sixties’ movie posters. Poster, 297 x 420 mm x 8, offset printing, 2010.